Blepharoplasty, or eyelift surgery, is a procedure done to restore a more	youthful appearance to the area around the eye. This can be performed	on the upper eyelids, lower eyelids, or both. These factors cause the	appearance of excess skin. As we age the fat pockets around the eye start	to bulge. The resulting effect on the upper eyelids is that the skin hangs	and sometimes can even obstruct vision. More often though it just leads	to a “tired” appearance and in women, can cause makeup smudging. On the lower lids, the effect is bulges, or “bags”, and wrinkles. The lids are “lifted” by removal of excess skin and when indicated,	a small amount of fat is also removed. The upper lid blepharoplasty is	done through an incision made in the upper eyelid crease. 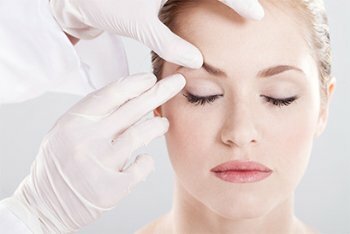 The procedure	can be done with an incision just beneath the lower lash line. A different	incision on the inside of the lower lid can be done for those with not	much skin excess but who have bulges with the appearance of dark circles. In that case, no skin is removed. Having a blepharoplasty will not necessarily take away dark circles under	the eyes or treat crow’s feet. Depending on the cause, some of these	issues can be addressed with other procedures, such as Botox or Dysport	and HA fillers. Some people who have “sagging lids” may not	actually need a blepharoplasty. In some cases, it is sagging brow skin	that causes a similar appearance. In that case, a browlift procedure is	needed in order to keep the brow skin from sagging over the upper eyelid region. Learn more if an eye lift is right for you by	calling us today at (702) 362-5960!